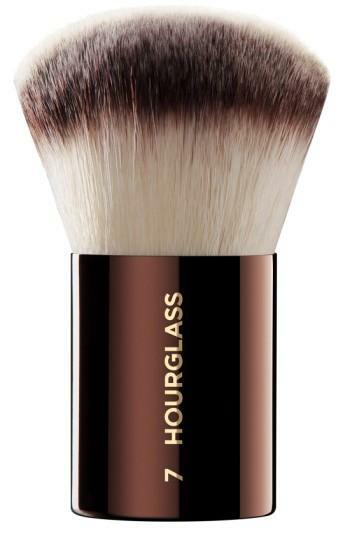 What it is: A brush that is full and rounded to effortlessly buff on foundation, blush or powder. Who it's for: All skin types. What it does: It's crafted with PETA-approved, high-grade, ultrasoft Taklon bristles that are an excellent alternative for those who suffer from allergies. Its weighted metal handle provides total control. How to use: Use it to apply your foundation, blush or powder. Wash with mild soap and water. Style Name: Hourglass No.